The new year is fully open. The college football season is over and with the games this past weekend we now know who will play in the NFL Super Bowl! The four teams that were in the playoffs have all decided to remember the main thing … whatever they determine that to be. For the two teams who lost in the playoffs, their choice was to lament a couple of missed calls and whine about what might have been, or make the main thing about looking and working for the future! You and I have a similar choice in our lives! Are we going to face forward or look backwards? We have chosen to start the way we started and will continue in the way we desire. It’s that simple. 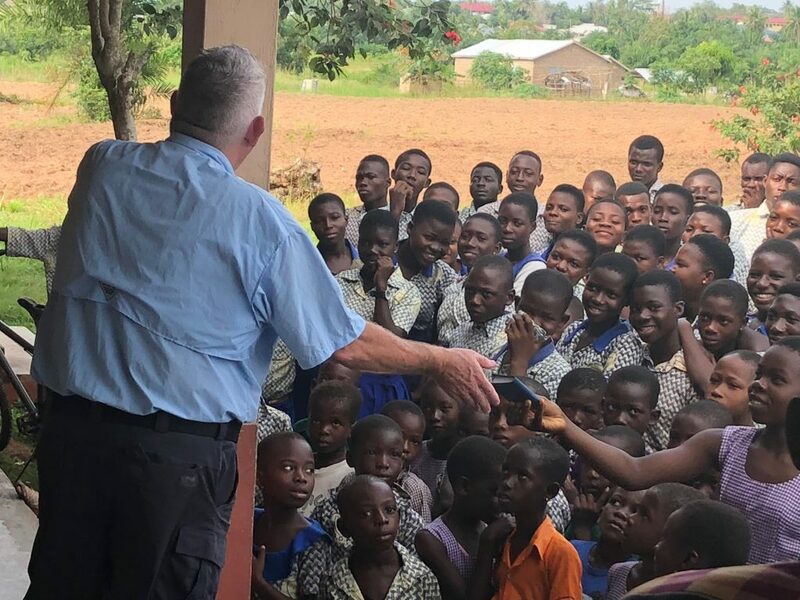 In a few days our team will depart the USA for our first ministry project of 2019 to Ghana, West Africa. There have been some challenges and changes leading up to this adventure, but along the way I have found a simple answer to every challenge that arises, and it is this We must remember that, as Stephen Covey said. I am convinced that the single most important thing we do in life is choosing to stick to the main thing, whatever that thing is for you. When we first starting doing international ministry I was drawn by every new and promising opportunity that presented itself to us. We did bible schools, construction projects, church meetings, medical missions, and accepted every invitation we received to travel anywhere. It was exhausting and ineffective. We were not being impactful at any area we were just staying busy. It was as plain as day to me. No longer will I get caught up in everything that is new and shiny. I’m not looking to reinvent the wheel. My main thing is sharing the love of God with my circles of influence. love the message of focusing on the main thing! Be safe and I will be praying daily for all that God has put in place for you on your jouney. Sharing the gospel and continue to focus on spreading his word with love in your hearts. Thanks for your guidance Roy! So easy to allow distractions in and knock me off the path of focus on the main thing.